Ford reached a seven-year high for July sales in Europe last month, delivering a total of 105,200 vehicles across the Europe 20 markets. The total reflects a 5% year-over-year increase, and it resulted in a 0.5 percentage-point increase in market share, bringing Ford to 8.1 for the month. Ford’s commercial vehicle sales were the highest in the Euro 20 that the automaker has seen since 1993, increasing 21% year-over-year to 24,339 units. Passenger car sales were the highest they have been since 2011, and a great deal of those sales were gleaned from high-specification models across the Mondeo, Fiesta, and Focus lines among others. “The Ford vehicle range has never been stronger in Europe, and in July our commercial vehicles, SUVs, performance cars, and high-spec models all showed their strength by winning over more customers,” said Roelant de Waard, vice president, Marketing, Sales and Service, Ford of Europe. Ford was once again Europe’s leading commercial brand, and it increased its market share 1.7 percentage points to 12.9% with increased demand for the Transit and Ranger, the latter of which saw a 45% year-over-year increase. Through seven months, Ford’s commercial vehicle sales are up 18% at 186,863 units, and its market share is up 0.7 points at 13%. High-spec models made up approximately 79% of all passenger car sales in Europe, with Titanium models making up about 72% of total passenger car sales. 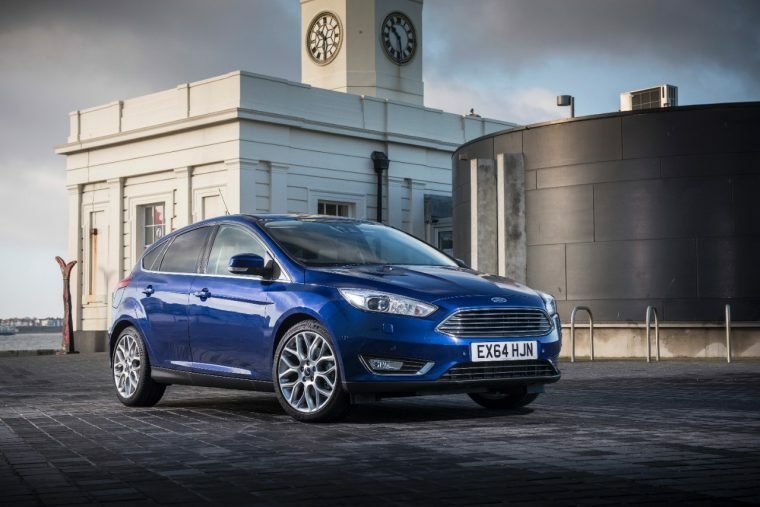 Popular variants included the Mondeo Vignale the Focus ST and Fiesta ST, and the Fiesta and Focus Red/Black Editions. Through seven months, Ford’s total sales in the Europe 20 are up 7.1% at 826,800 units.